In select circumstances, clients may have additional needs requiring specialized professional support before purchasing a property, redeveloping or remediating a contaminated site or upgrading a facility. Project Management: When required, Terrapex manages complex projects for our clients or assist them by managing the environmental components of large‑scale/complex projects. Peer Reviews: Senior professionals at Terrapex reviews reports/work programs (completed by others) to ascertain whether project objectives were met, industry standards were followed, correct decisions/recommendations were realized and project expenditures were properly controlled. Where warranted, a second opinion is offered. Expert Witness Testimony: Select senior professionals at Terrapex have qualified as experts on environmental issues and testifies as expert witnesses in support of ongoing litigation, applications, board hearings or other matters. Technical Specifications/Bid Support: Our team of professionals assist you by developing technical specifications for the work requiring completion, assist in the preparation/issue/review of bid documents and manage/oversee the selected contractor. 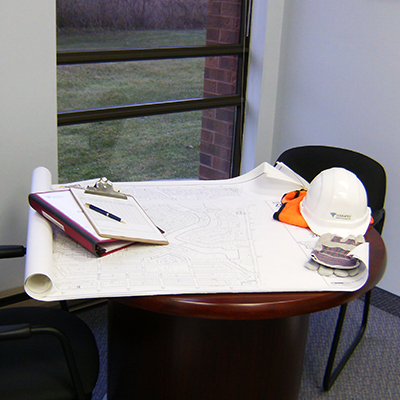 Terrapex staff have the technical expertise to manage complex projects and utilize a practical approach to address/resolve the issues, concerns and task-specific needs that can arise. Our staff have earned a reputation for their integrity when providing a technical or expert opinion. Finally, our team of professionals provide clients with the personal service needed to explain complex, technical issues in a straightforward manner. Terrapex’s complement of senior professionals and project managers can oversee your environmental project from the initial conception phase through to successful completion. Whether working for a client on a property, operational facility or contaminated site, our professionals take the time to understand the goals, scope, constraints, and risks involved in every project. They draw on their vast knowledge base, compiled through experience and expertise, to identify strategic milestones and required deliverables, as well as to anticipate and mitigate potential variables inherent in all projects. Ongoing review and management of project budget. Real-time tracking of strategic milestones and overall project schedule. Integration and management of project resources. Facilitation of clear and concise communication. Terrapex also serves as a specialized technical component of multi-disciplinary teams on large‑scale and multi-stage projects. In many situations, firms or individuals seek a “second set of eyes” prior to proceeding with a recommended course of action or implementing suggested procedures. Identifying areas of inaccurate or incomplete information can significantly increase the chances of successful project completion while decreasing risk and long-term expense. Terrapex is frequently retained to review and provide a professional opinion(s), reports, or guidance regarding historic and/or ongoing environmental activities at properties, facilities or contaminated sites. Municipal development and infrastructure projects. Intrusive investigations completed supporting real estate transactions. Document environmental investigations and site remediation programs completed by third parties. Quantify environmental liabilities associated with soil and/or groundwater contamination prior to planned property acquisitions. Advise on the appropriate course(s) of action to address contaminated property acquired following foreclosure, lease termination or other actions. Determine likely source(s) of contamination in situations where neighbouring properties are affected. Situations may occur where parties disagree on environmental conditions at a given property or properties – particularly, which party is responsible for the environmental issues and concerns. 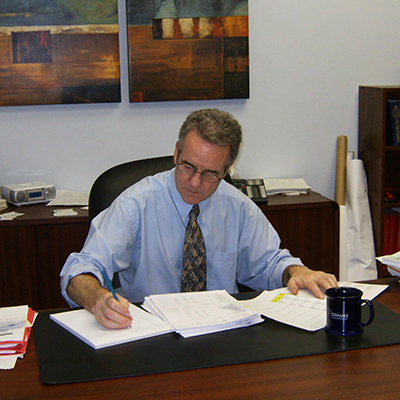 When these circumstances arise, often the only way to address the dispute is through mediation, mitigation or litigation. Terrapex boasts a roster of 10 senior professionals with 20 or more years of experience, several of whom have experience testifying during legal proceedings, serving as an expert witness or providing detailed technical opinions on a variety of environmental issues. Our senior staff have gained a reputation for integrity within the legal community. They have the technical expertise to address the issues at hand and the business acumen to seek a practical, cost-effective approach whenever possible. As such, Terrapex is frequently retained to review and provide professional opinion reports or guidance regarding historic and/or ongoing environmental activities at a property or specific location within a property. Large-scale projects, or specific components within a project (such as the installation of a remedial treatment system), do not occur without detailed planning and technical support. Over our 20 year history, Terrapex has built a strong working reputation with numerous remedial contractors and suppliers based on our technical leadership and effective project control. Preparation of technical bid specifications and tender documents, including detailed plans and specifications in the National Master Specifications (NMS) format. Tender preparation, issuance and organizing/managing bidders meeting(s). Review of submitted bids, contractor selection and contract award. clear and concise communication/updates to the client. Documentation of completed work, including submission of design and as-built drawings. Terrapex has provided the above services acting as a client’s representative or while serving as a specialized technical component of a multi-disciplinary team on large-scale and multi-stage projects.